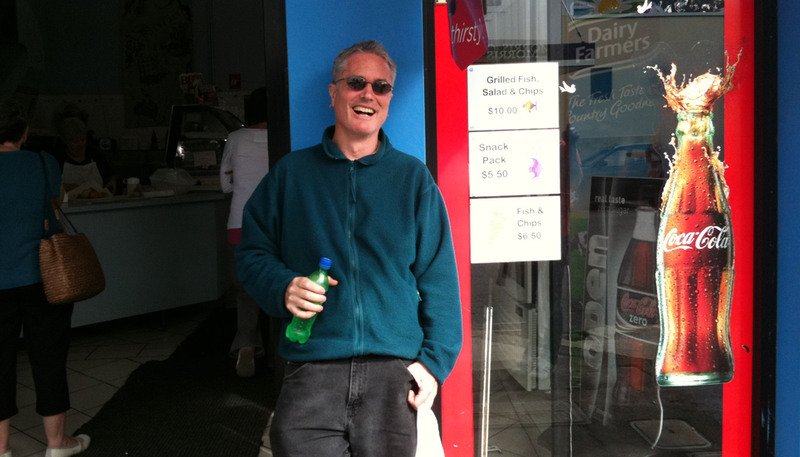 The author at the Umina Beach fish and chip shop, NSW Central Coast (Australia), a few years ago. The California Driving Guide is written and maintained by Hamish Reid, a software developer, photographer, and videographer based in Richmond, California. My name is pronounced “haymish” (it’s Scottish), not some variant of “Hah-meesh” or similar. I’m British by birth, Australian by upbringing, and all over the place residentially. I have a semi-formal HamishReid.com photo portfolio site, augmented by my much older Pandemonia, mostly concerned with photography, imaging, and writing; I also have a Hamish Reid Photography Facebook page, which I’m not particularly good at keeping up to date, and a much more active “California and Nevada… From The Side Of The Road” Tumblr. My non-commercial videos are up on my Hamish Reid Youtube channel and my Vimeo channel (with the latter focusing more on the, umm, artier side of things). If you want to get in touch, please see the Contact page.